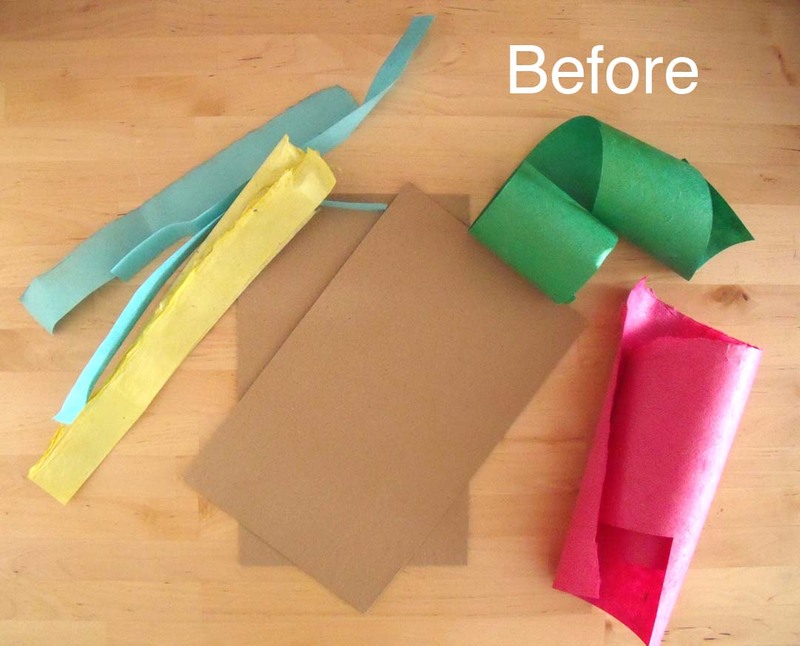 This easy project is made from materials that you've probably already got laying around! Since I recently finished making a new batch of mini-comics, the leftover paper scraps were more than enough to cover some cardboard I would've otherwise just recycled. Instead, these throwaway items became my pretty new journals! 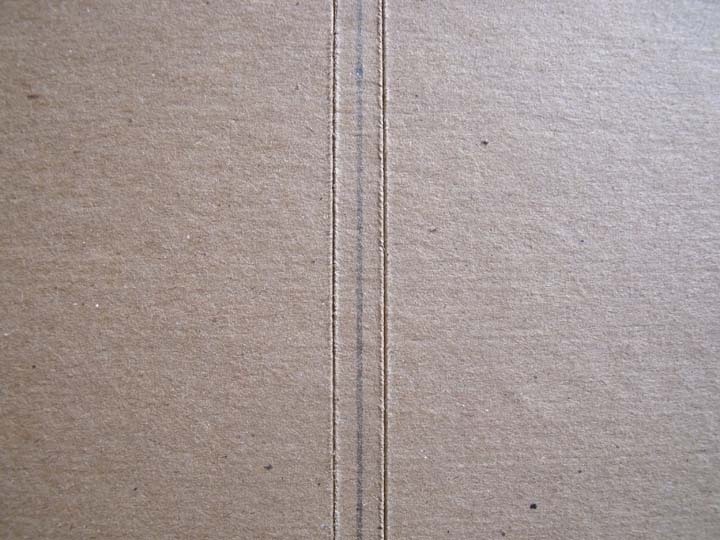 Step 1: Draw a vertical line down the center of the cardboard. 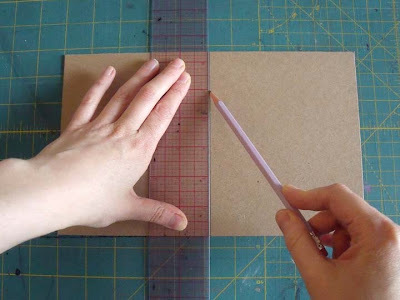 Step 2: Score 1/8" to the left of the line and then again 1/8" to the right. 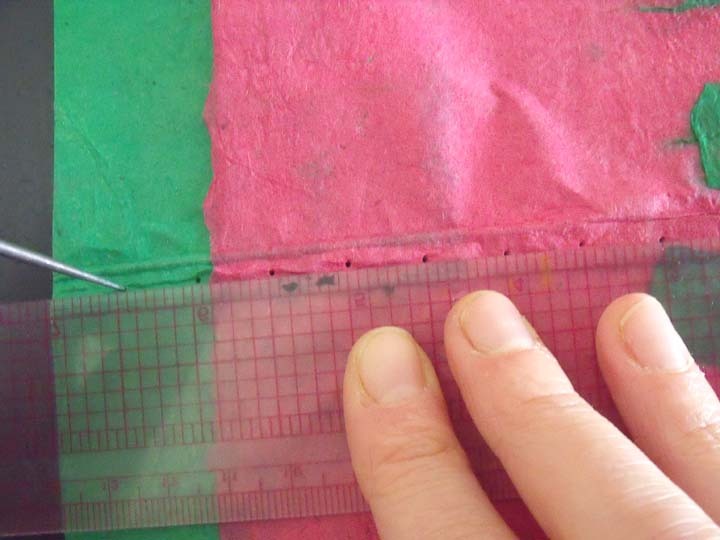 Step 3: Fold on each of the scored lines. This gives you the shape of the journal. BUT if you don't, making it is crazy easy! I found this terrific recipe from Life In Rehab a while back. I'm excited that this project gave me a chance to try it out. So thank you, Sandy, it works great! 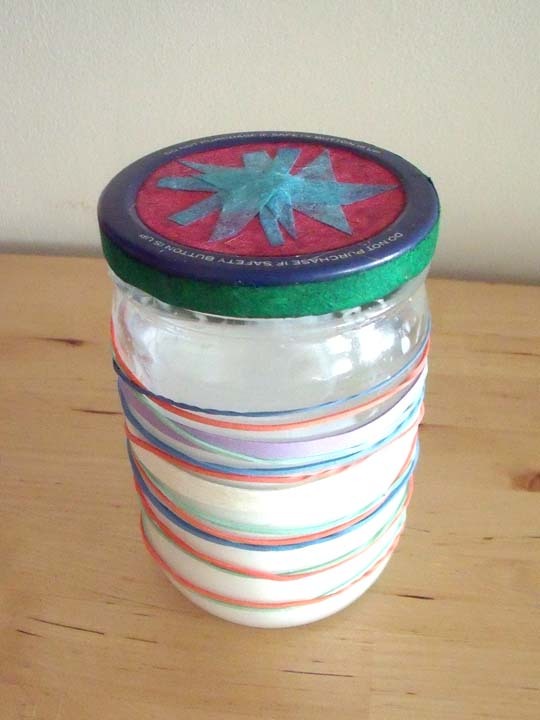 After mixing mine up in an old jar, I decoupaged some paper to the top and added a bunch of rubber bands around it to look like stripes. Cheap, lazy decorating? Yes! But fast and instantly cheerful. 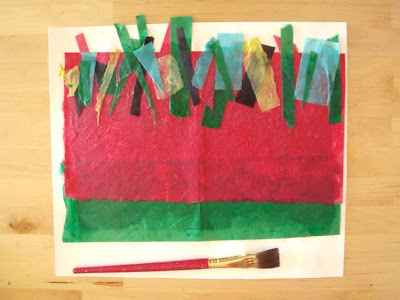 Step 2: Brush a thin layer of decoupage on the inside of the cardboard, then cover with a piece of paper larger than the cardboard and press down. 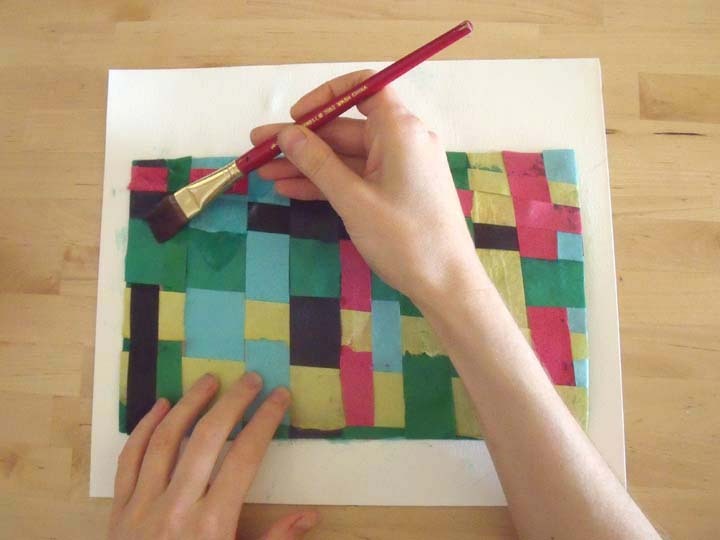 Step 4: Flip over and paint the decoupage around the four edges. Turn the excess paper over top of it. Step 5: Push the paper up at a diagonal at each of the corners and snip away the excess with scissors. 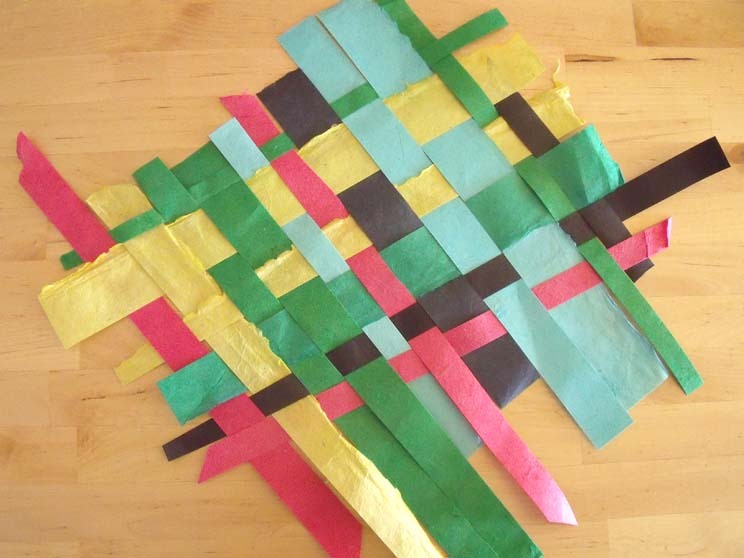 Step 6: Coat the whole side in decoupage and carefully lay the weaving over it. Step 7: Cleanly trim away the excess. 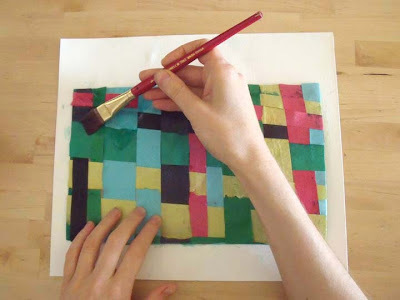 Step : Cover the woven layer in decoupage (a few thin layers may be necessary). 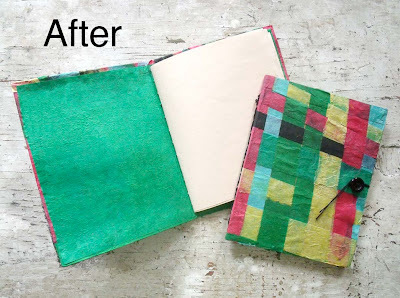 *For the second journal, I just cut up the scraps randomly and glued them down without any real plan. Of course it ended up being my favorite. 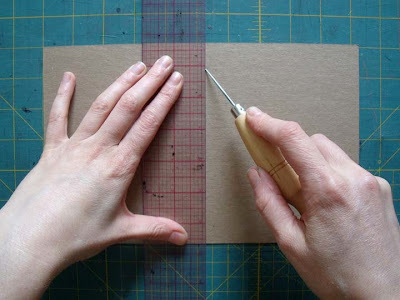 Step 1: Cut your paper so that it is 1/4" smaller on each side than the cardboard (so that it will fit nicely inside), then fold in half. Step 2: After the journal has dried, binder clip the pages into the correct position. Step 3: Flip over and use the awl to make holes in the center of the spine 1/2" apart. Step 4: Start sewing on one side to the other and then back in the opposite direction filling in the spaces between the stitches. Step 5: When you're back to the end you started from, trim the strings, leaving a little extra to tie into bow. 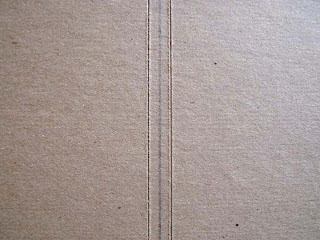 *You can add a closure by making 2 holes in the back flap. 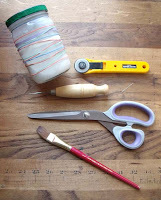 Sew string through and tie. Sew a button onto the corresponding area on the journal's front cover. 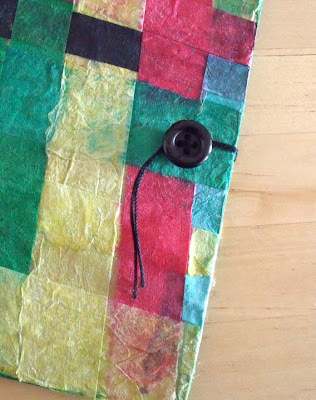 Wrap the string around the button to close. Tiny, free and the perfect size for keeping handy in your purse! Wow! I may not be smart enough to think of that, but i am totally trying that out right now! My friends are going to bring these to school everyday! You are on crafty crafty, and I love all the things featured! Aw, thanks! 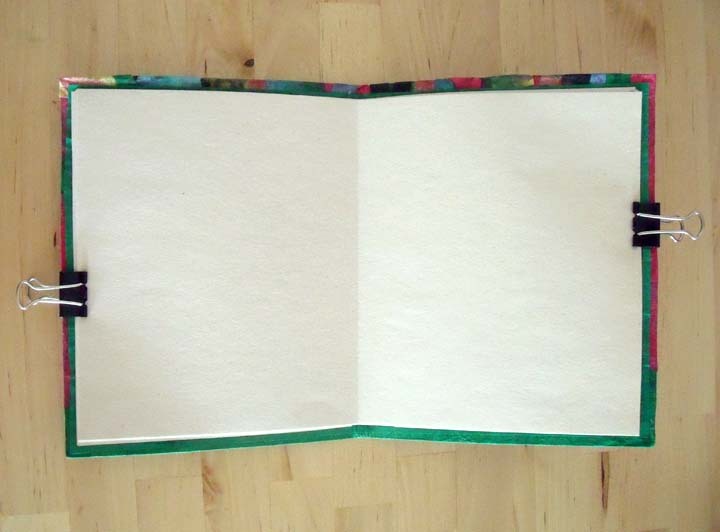 Send me pics once you've finished your journals. Would love to see what you came up with! 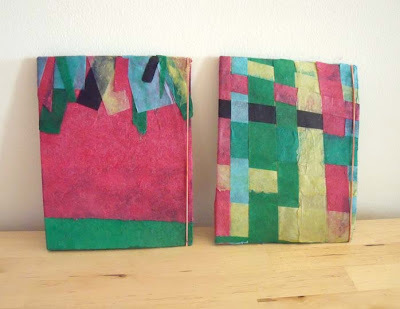 Great project, I like the way the journals turned out! You do know how to make scraps attractive. I'm glad our decoupage medium recipe worked so well for you; thanks for the shout out! Glad you like the project! Thanks for sharing the recipe you came up with. It's SO easy! Love this project! Thanks for sharing your idea and your great tutorial! I so appreciate it, Elenor! So cute! And good instructions!